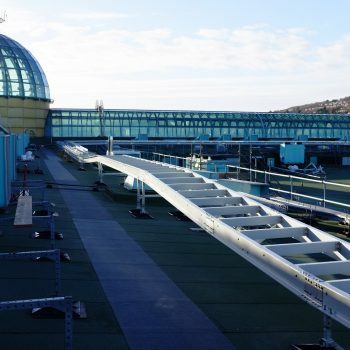 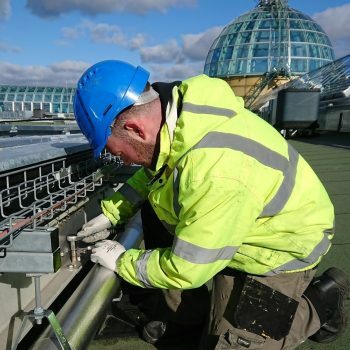 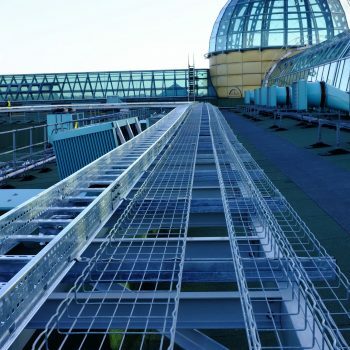 In partnership with Laing O-Rourke, our rooftop GRP raceway provides a tailored solution. 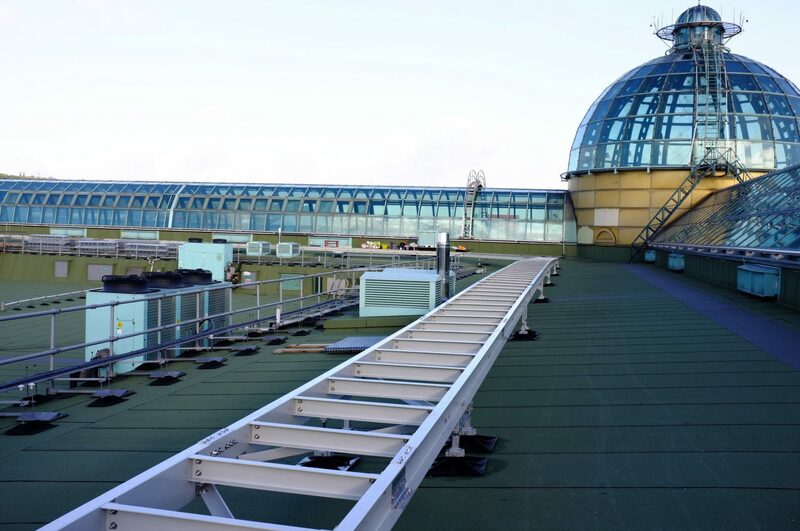 Service raceway structure in GRP, with step overs and stairways for safe access, spanning the perimeter of the iconic Meadowhall glass roof. 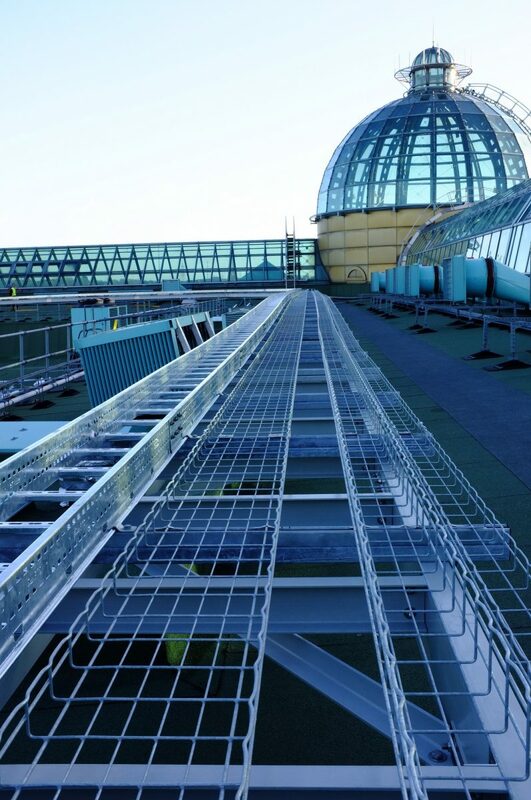 The composition spans the perimeter of the iconic Meadowhall glass roof and allows the services originally housed within the malls, to be rerouted externally, freeing up valuable retail real estate for the centre. 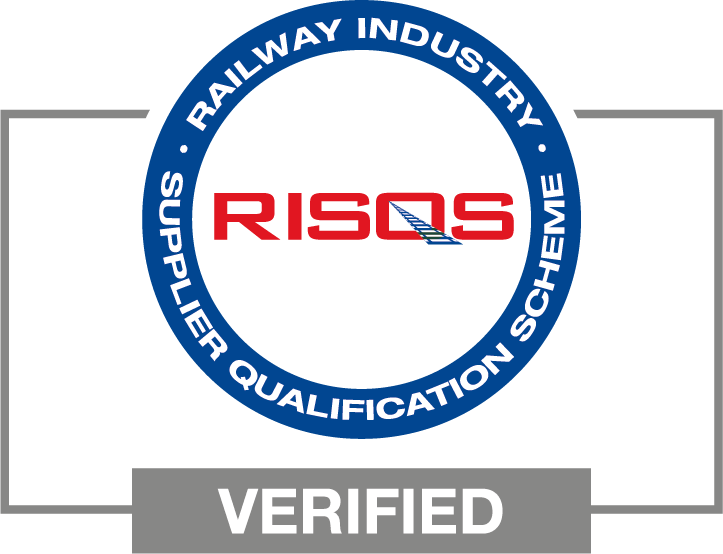 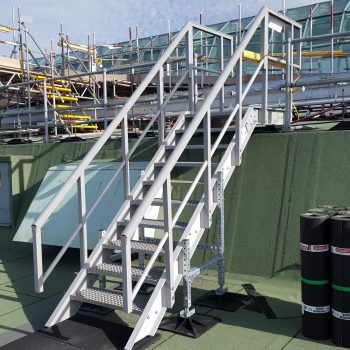 Fabricated GRP pultruded sections, bespoke project specific profile meeting engineering requirements. 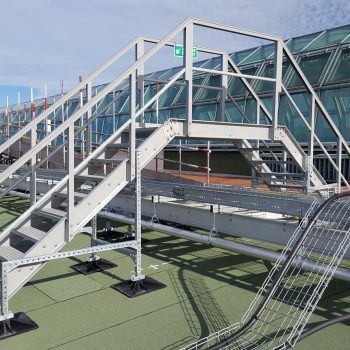 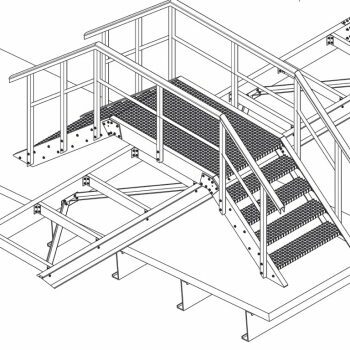 Replacing the steel structure in the original plans, Evergrip’s GRP solution provides huge efficiencies in weight, longevity, installation and overall cost, making it the obvious choice. 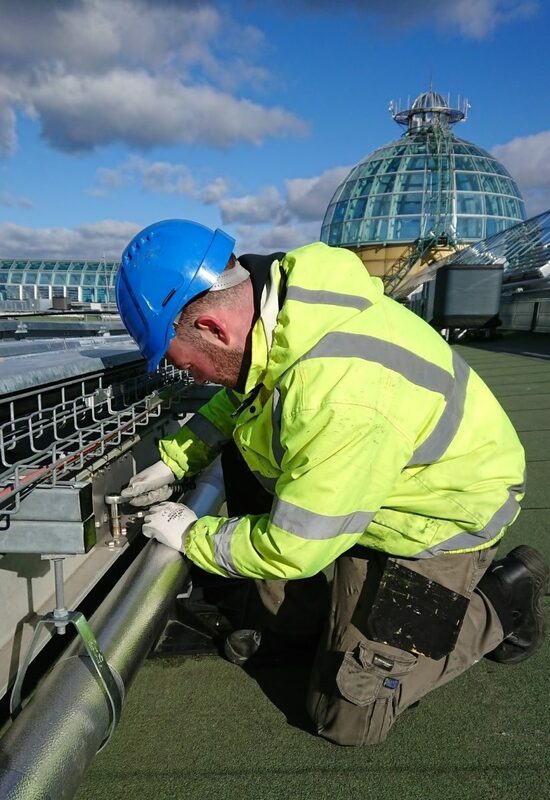 The weight saving of the GRP is key to this project, giving a significant reduction in imposed weight bearing on the roof. 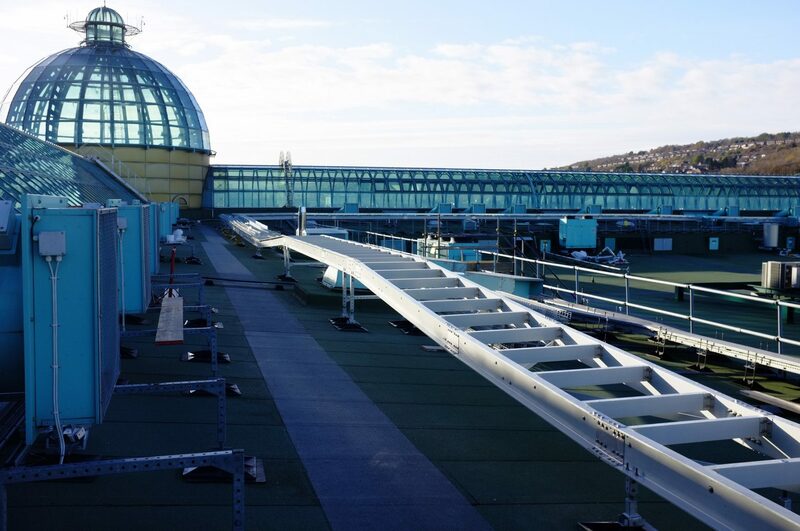 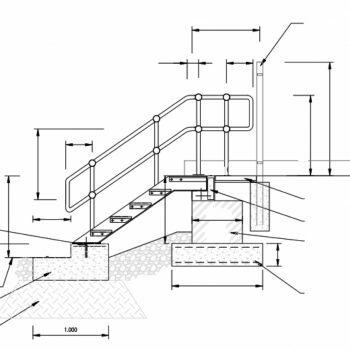 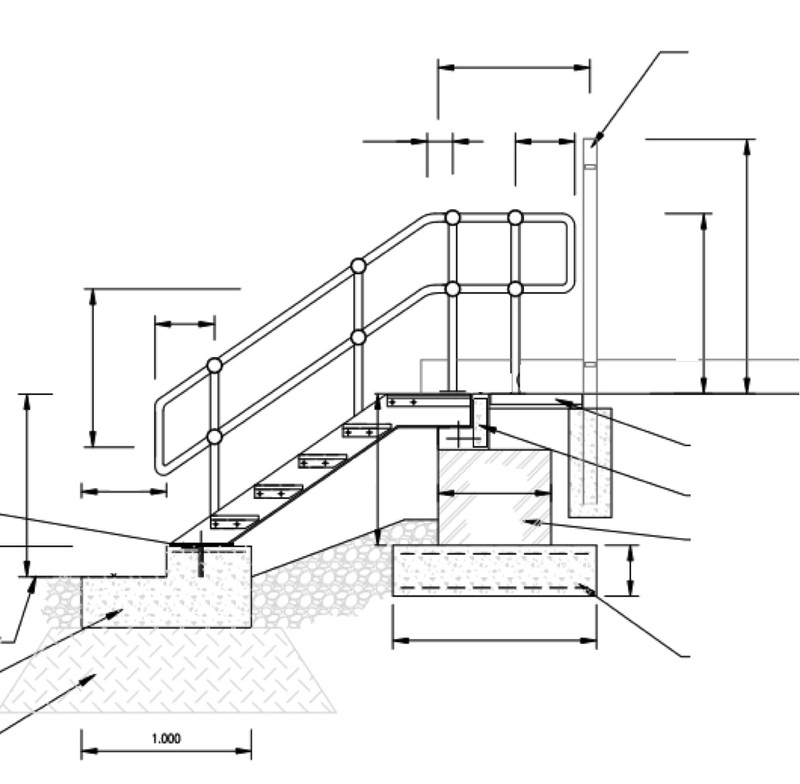 In addition, due to its weight, the GRP raceway is attached to non-penetrative support pads, preventing the need for the weather seal to be broken, a deciding factor for the project. 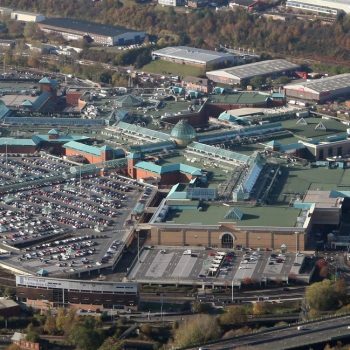 The very nature of the development at Yorkshire’s premier shopping destination requires minimal disruption to trading. 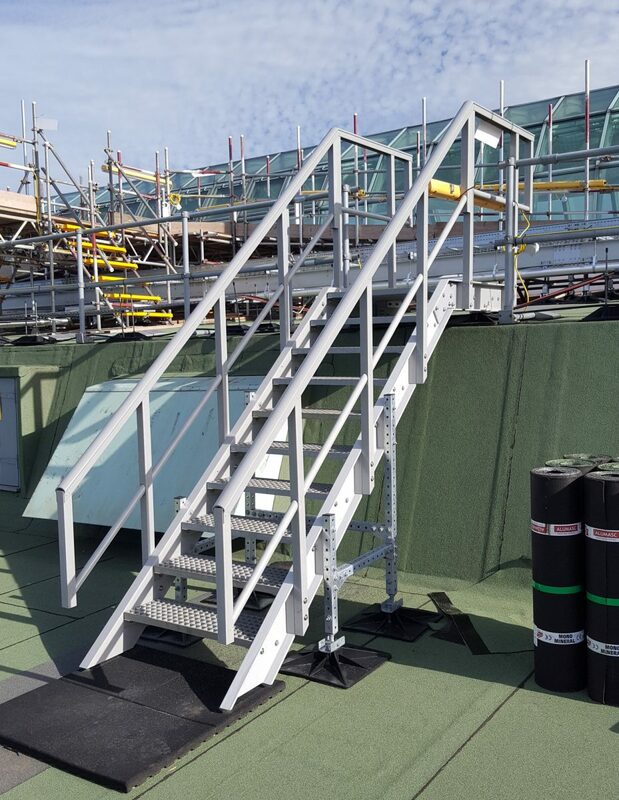 Installing the GRP structure took just 50 working days, much faster than the time it would have taken for a heavy steel structure to be fitted. 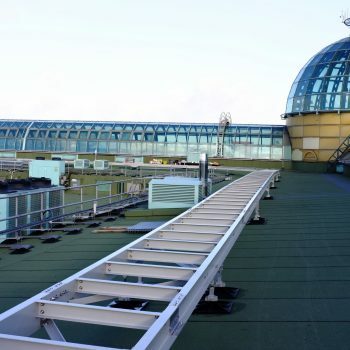 All materials had to be manoeuvred via crane outside of trading hours to ensure there was no risk to the public, nor any impact on the centre’s operations. 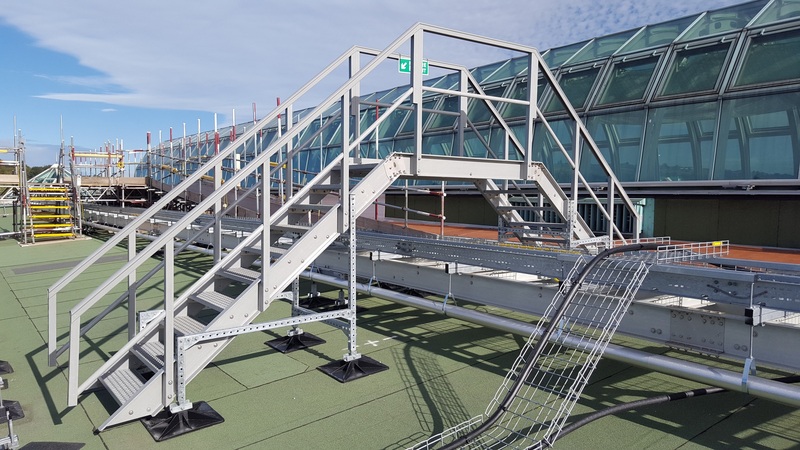 Due to the reduced weight of fibreglass in comparison with steel, crane lifts were minimised and the custom produced 7.3m components were carried into position by Evergrip’s installation team. 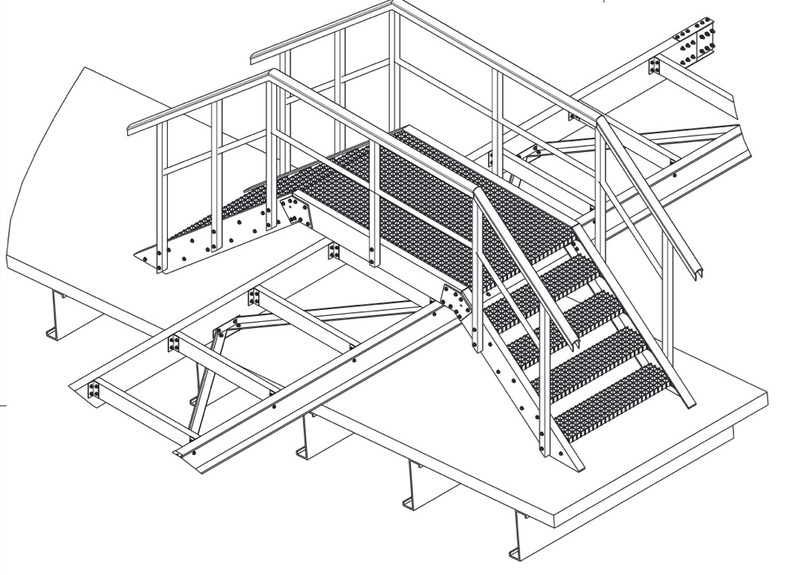 This quick set up allowed the project to move to the next step much sooner.